The practice of saying "o'clock" is simply a remnant of simpler times when clocks weren't very prevalent and people told time by a variety of means, depending on where they were and what references were available. Thus, to distinguish the fact that one was referencing a clock's time, rather than something like a sundial, as early as the fourteenth century one would say something like, "It is six of the clock," which later got slurred down to "six o'clock" sometime around the sixteenth or seventeenth centuries. In those centuries, it was also somewhat common to just drop the "o'" altogether and just say something like "six clock." Using the form of "o'clock" particularly increased in popularity around the eighteenth century when it became common to do a similar slurring in the names of many things such as "Will-o'-the wisp" from "Will of the wisp" (stemming from a legend of an evil blacksmith named Will Smith, with "wisp" meaning "torch") and "Jack-o'-lantern" from "Jack of the lantern" (which originally just meant "man of the lantern" with "Jack," at the time, being the generic "any man" name. Later, either this or the Irish legend of "Stingy Jack" got this name transferred to referring to carved pumpkins with lit candles inside). While today with clocks being ubiquitous and few people, if anybody, telling direct time by the Sun, it isn't necessary in most cases to specify we are referencing time from clocks, but the practice of saying "o'clock" has stuck around anyway. The word "clock" is thought to have originally derived from the Medieval Latin "clocca," meaning "bell," referencing the ringing of the bells on early town clocks, which would let everyone in a community know what time it was. Contrary to popular belief, the clock tower in London commonly called "Big Ben" is not named "Big Ben." Rather, it is named "Elizabeth Tower," after Queen Elizabeth II; named such during her Diamond Jubilee (the 2012 60th anniversary of her accession to the throne). Before that, it was just called "Clock Tower." So why is it so often called "Big Ben"? That is due to the great bell inside the tower that chimes the hour out and goes by that name. Over time this has morphed into many calling the clock tower itself that even today, despite the recent, very public, name change. 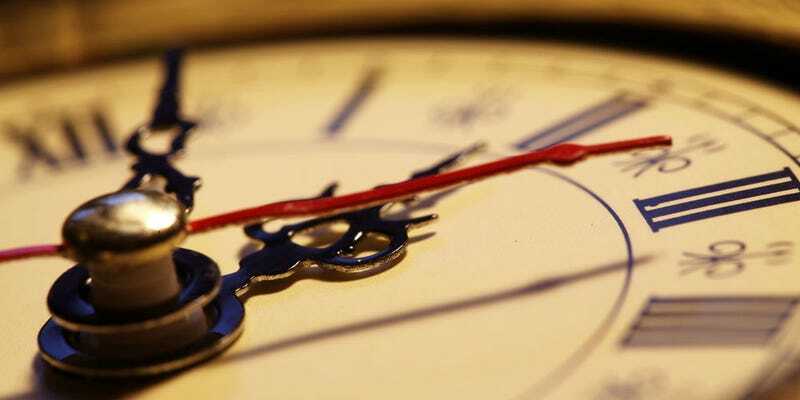 If you've ever wondered what a.m. and p.m. stand for, wonder no more: a.m. stands for "ante meridiem," which is Latin for "before midday"; p.m. stands for "post meridiem," which is Latin for "after midday." Daven writes for the mildly popular interesting fact website TodayIFoundOut.com. To subscribe to Today I Found Out's "Daily Knowledge" newsletter, click here or like them on Facebook here. You can also check 'em out on YouTube here.